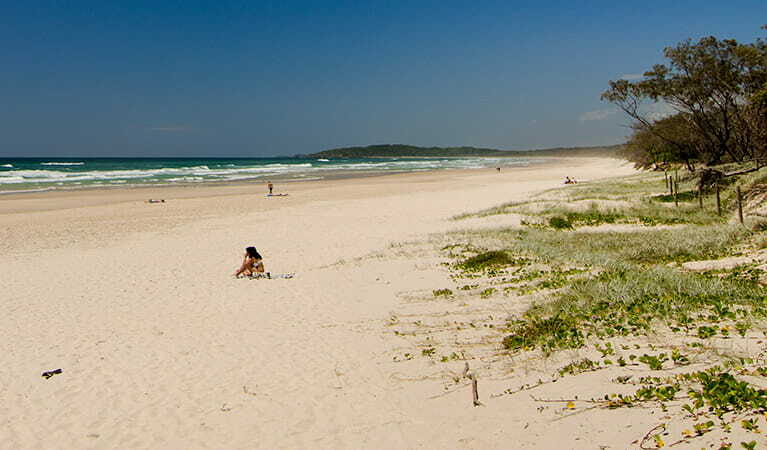 Tallow Beach is 3.2km from the heart of Byron Bay and a great place for swimming, birdwatching, whale watching, beach fishing, and just throwing down a towel to soak up the sun. A scenic bridge between Cape Byron State Conservation Area and Broken Head Nature Reserve, Tallow Beach offers a terrific place to throw down a towel and soak up the sun. You could pull out binoculars for an afternoon of whale watching in spring and winter though, as whales migrate between the Great Barrier Reef and Antarctica. 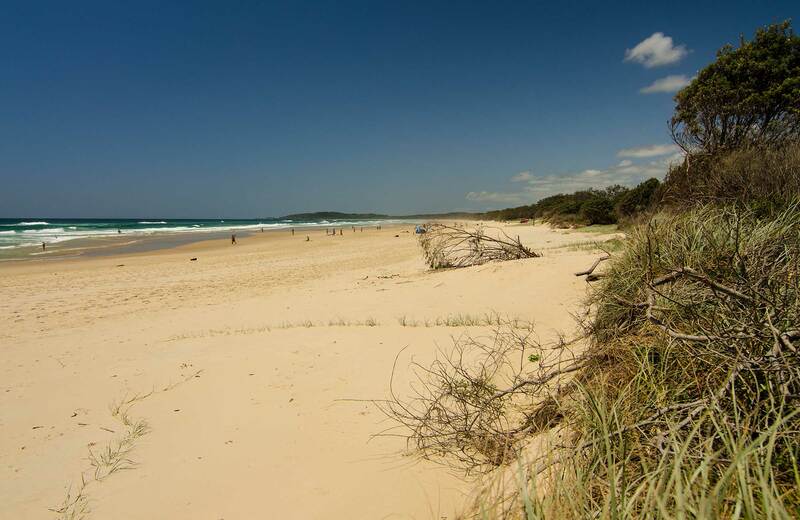 Just 3.2km from the heart of Byron Bay, Tallow Beach is alive with osprey and white-bellied sea eagles scouring the coast in search of food. As you relax on the sand, pied oystercatchers wander past searching for pippis. Avid birdwatchers will find more to see behind the dunes adjacent to residential areas, where many paper bark trees provide plenty of hiding holes for our feathered friends. Beach fishing is possible here, as well as surfing in the right tide. 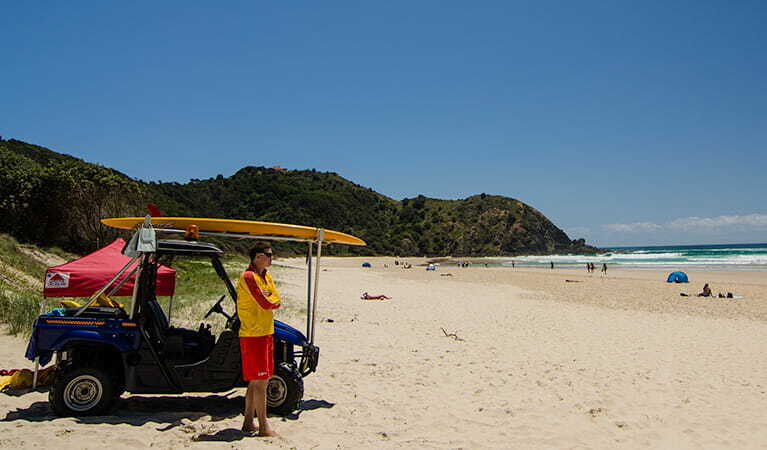 For swimming and surfing, please be aware of rip tides and keep an eye on children – Tallow Beach is unpatrolled. It is, nevertheless, very popular in summer, the school holidays and Easter, so arrive early for the best spot. Arakwal National Park is always open but may be closed at times due to storm weather or fire danger.